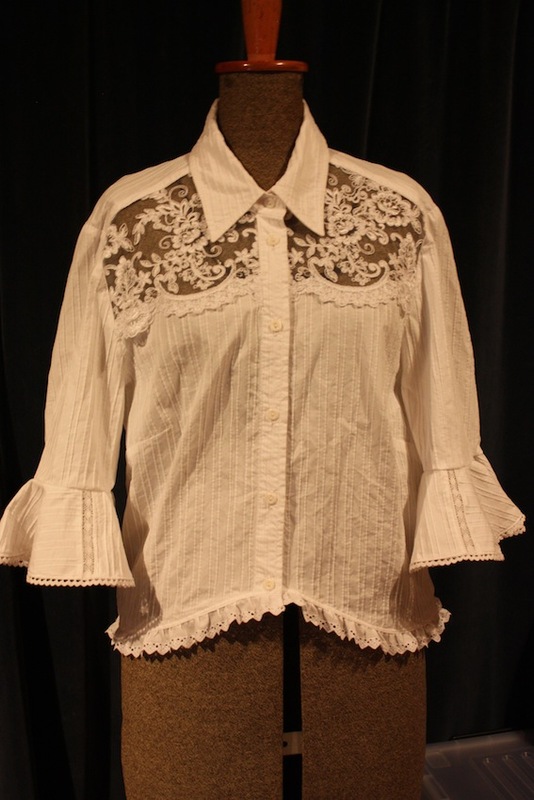 Pinterest is full of ideas on how to upcycle button-up shirts into steampunk outfits! I have recently enjoyed a little excursion in the world of steampunk. I suddenly came up with the idea to go to a steampunk event with some friends and I needed to make a quick and easy costume. 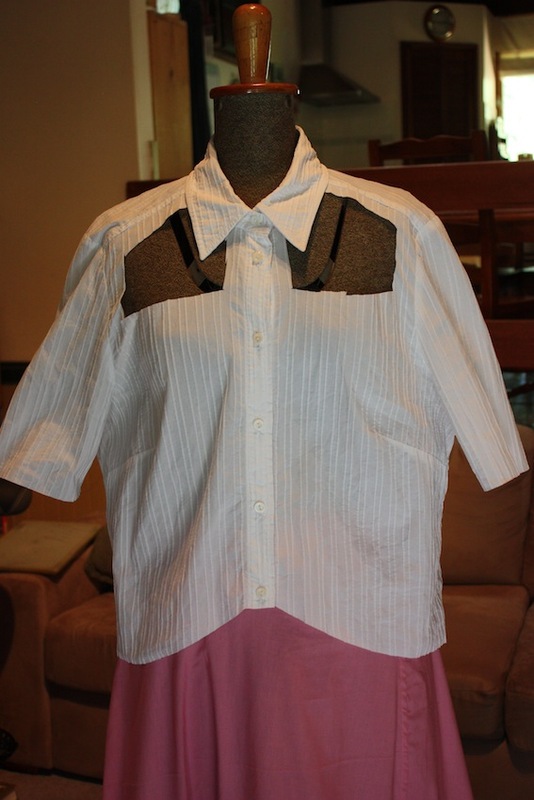 I started with a skirt and then moved onto a blouse made from an ordinary shirt. Steampunk is the name given to a new and modern reinterpretation of Victorian clothing. Essentially, Victorian clothing elements (such as lace, corsets, bustles and flounces) are combined with industrial themes (such as metal, leather, and dark colours) to create a very modern and often burlesque look. As I don’t really like black, I have come up with a bit of a lighter and brighter idea, but I feel it is still worth sharing. I started with an ordinary button up shirt that I bought from a second-hand shop. 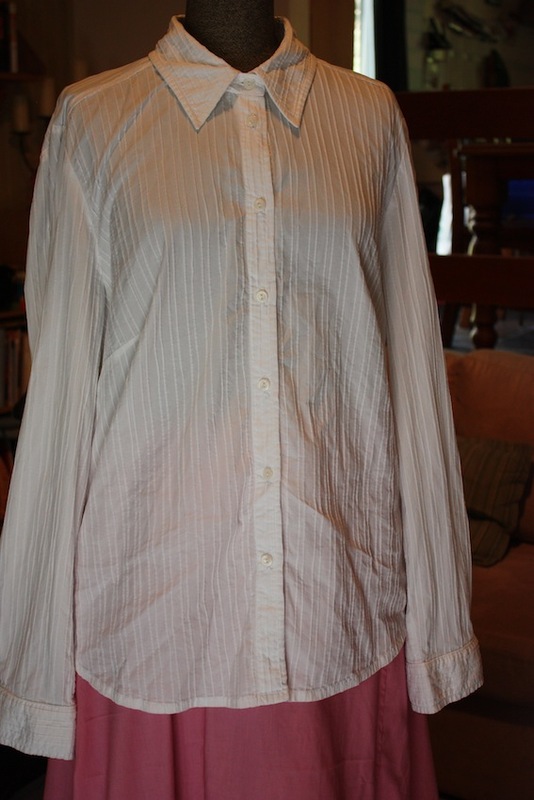 The shirt I started with; long-sleeved, button-up, with cuffs. Cotton spandex blend with a “tucked” texture woven into it. Step 1: Cut off the sleeves at elbow length. Cut out two “windows” on each side of the upper chest. Trim the bottom edge to desired shape. Step 2: Sew lace onto chest area. 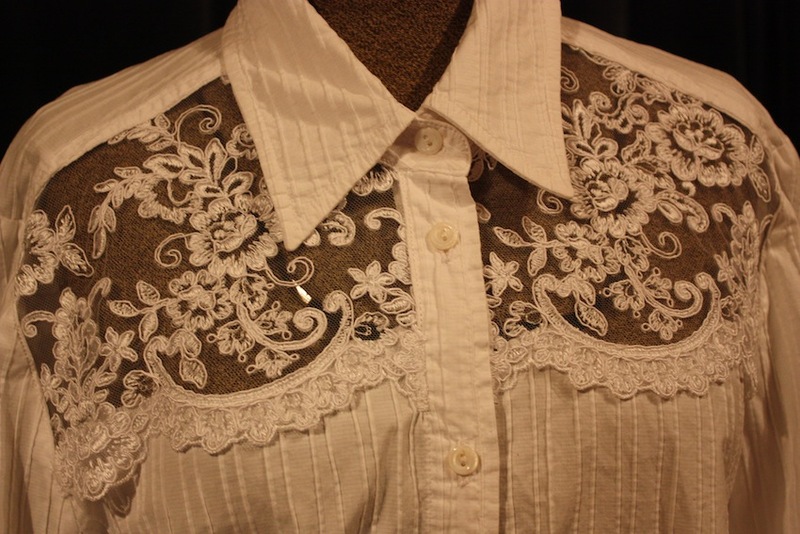 I tucked the raw edges of the lace underneath the shirt and topstitched through all layers. 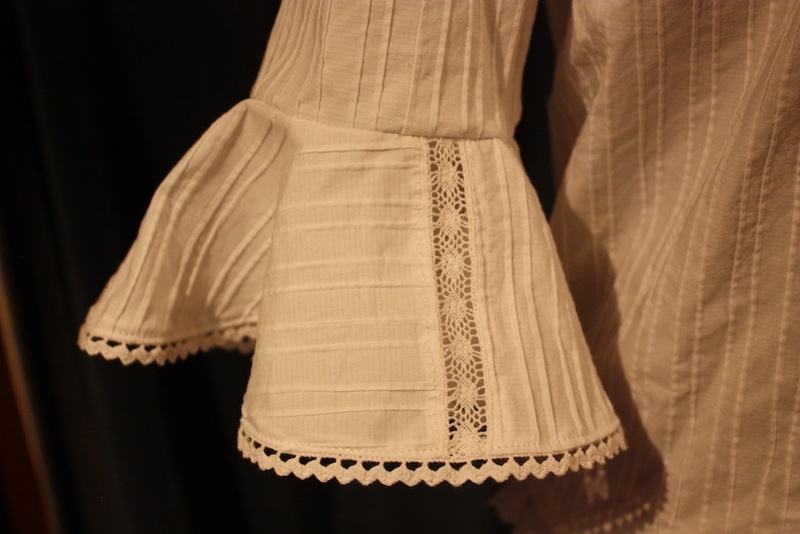 But the scalloped edge of the lace I placed on top of the shirt and topstitched through all layers. The lace placed in the cut-out section. Step 3: Sew lace along bottom edge of shirt. I pressed the seam upwards and topstitched to hold it in place. The lace sewn to the bottom edge. The cuffs being cut out. Top: the bottom part of the shirt. Middle: Sleeve one. Bottom: Sleeve two. I joined the cuff pieces with some insertion lace. 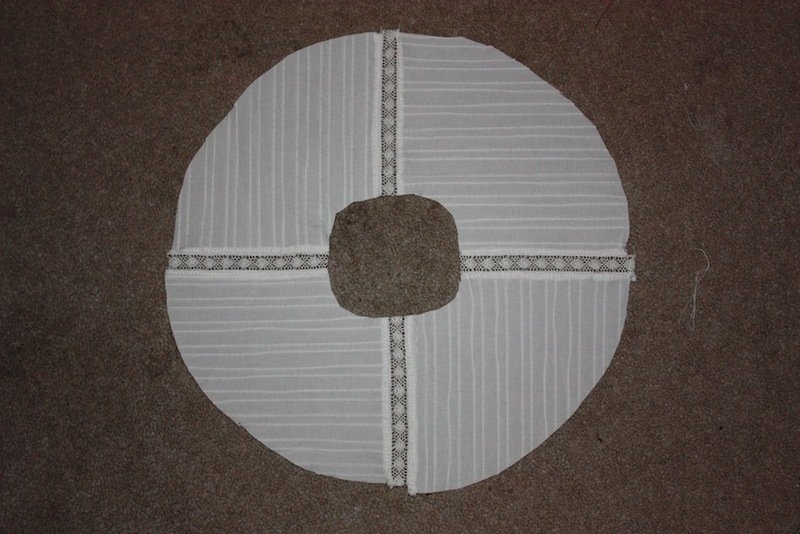 One cuff sewn together, containing 4 quarters of a circle pieced and joined with insertion lace to form a full circle. 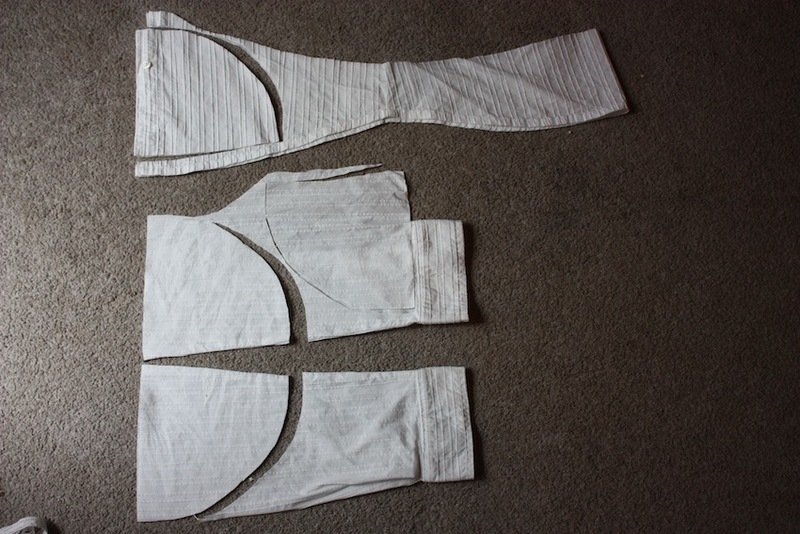 The cuffs were then sewn to the bottom of the sleeve. 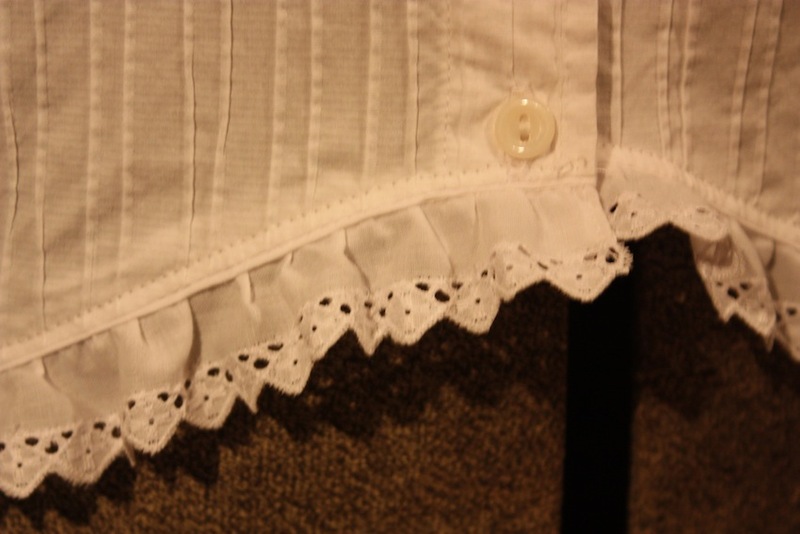 I also hemmed the cuff by attaching some more lace trim. 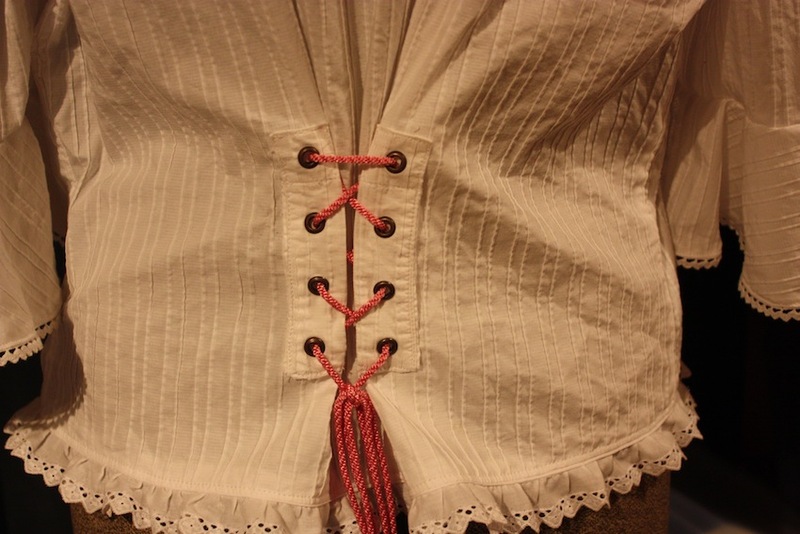 Step 5: In order to make the shirt more fitted, I decided to add some lacing at the back. Using the placket sitting just above the sleeve cuff, I added some eyelets and sewed it to sit in the small of the back. I added pink lacing to match the skirt. This was quite a quick and easy up-cycling project. The total project cost $1 (! ), as I tried to use only items that were in my stash or leftover from other projects. And the limits to this type of costume are only your imagination! on March 30, 2015 at 2:36 am | Reply Susan K.
I adore the lace windows! Now this is my kind of stitching.